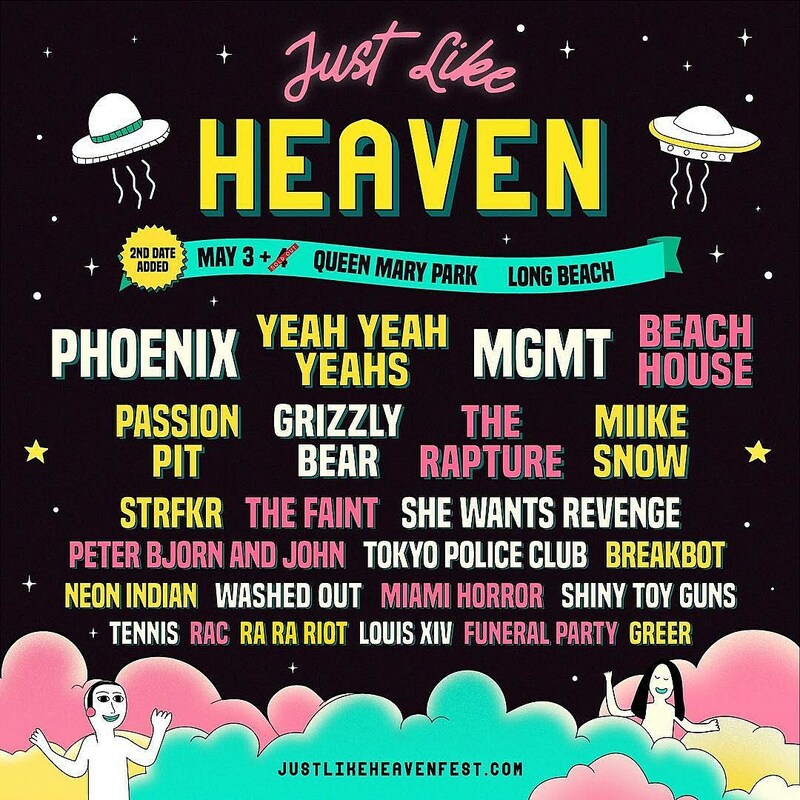 Goldenvoice’s new mid/late 2000s indie nostalgia fest Just Like Heaven was announced last week and it already sold out, so the festival has now added a second date! It now happens on May 3 in addition to May 4 with the same lineup each day (except Louis XIV was just added to day one). That lineup is Phoenix, Yeah Yeah Yeahs, MGMT, Beach House, Passion Pit (who are celebrating the 10th anniversary of Manners), Grizzly Bear, The Rapture (who are reunited for this fest and a Brooklyn show), Miike Snow, STRFKR, The Faint, She Wants Revenge, Peter Bjorn and John, Tokyo Police Club, Neon Indian, Washed Out, Shiny Toy Guns, Ra Ra Riot, and more. The fest goes down at Queen Mary Park in Long Beach. Tickets for May 3 go on sale Friday (2/15) at 10 AM PST.